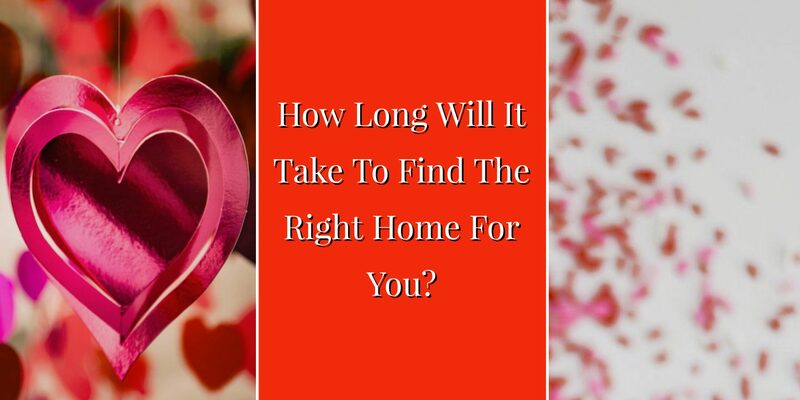 How Long Will It Take To Find The Right Home For You? Finding the right home is a lot like finding the right spouse. You never really know when you’re going to find the right one for you. You could go on one date or you could go on 50. Regardless, when you finally do settle on the right one, you’ll know when it’s right for you. Luckily, finding the right home can be a bit easier than finding the right spouse. With the right approach, you can hopefully find the right home sooner rather than later. First and foremost, starting your home search online can save you a lot of time and effort. When you start looking at homes from the comfort of home, you’re able to learn a lot about what you’re looking for and more importantly what you’re not looking for. If you have the luxury of looking a bit before you start looking, find yourself a realtor who is able to set you up with a home search online. This will allow you to do some looking before you actually start your home search. Doing this can give you a better of idea of what is on the market and what homes are selling for. Nowadays, you can do a lot of searching for homes online. Many realtors take decent pictures and do virtual tours of homes that can really give you a good idea of what a home looks like. This can give you a good idea of what you’re looking for in a home and what you’re not looking for in a home. There’s no use in looking at houses that don’t meet your criteria. Much like when you’re dating, there’s no use in dating people who have certain qualities that are deal breakers. In order to find the right home, don’t bother looking at homes that either don’t match what you’re looking for or are out of your price range. If you’re ultimately not going to be serious about buying the home, there’s no use in looking at it. It’s a waste of your time, a seller’s time, and your realtor’s time to look at a home that you shouldn’t seriously consider because it’s not what you’re looking for or that you simply cannot afford it. Finally, waiting too long to go view a great home or to write an offer can make finding the right home even harder. In a seller’s market, great homes go very quickly, so there is no room for dragging your feet. Before you hit the market, take the time to figure out what you want and what you don’t want. Having a clear idea of this will make it easier to know when you’ve found the right home. This will make it easier to make a quick decision about a house. Most like finding the right spouse, you’ll know when you find the right home. You won’t have a lot of doubts about writing an offer. There may be some things you have to sacrifice, but ultimately it will be the right home for you. Are you thinking about buying a West Knoxville home in 2018? We’re here to help! Let us know if there is anything that we can do for you. Rick can be reached at 865-696-9002 or via email at Rick@KnoxvilleHomeTeam.Com. Kati can be reached at 865-696-1888 or via email at Kati@KnoxvilleHomeTeam.Com. Start your home search today on our West Knoxville home search page! Could A Knoxville Realtor Save You Money? The 5-Year Itch: Is It Time To Sell Your West Knoxville Home? Connect with Knoxville Home Team!